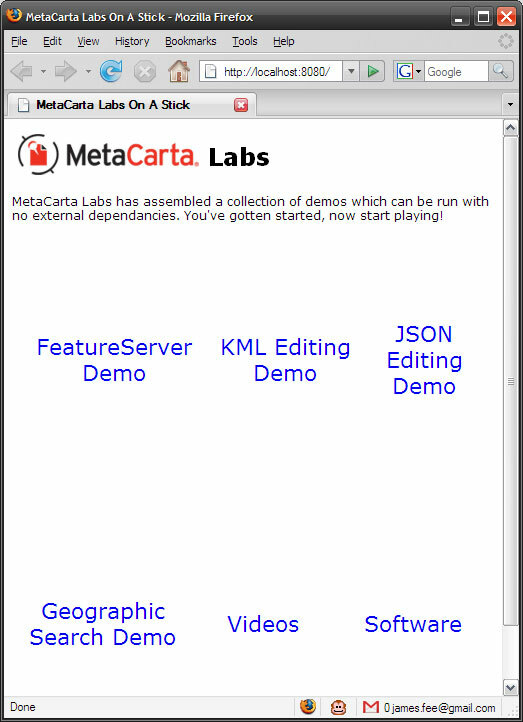 Then download the zip version of MetaCarta Labs on a stick and extract it on to your USB stick (or anywhere on your hard drive if you wish). 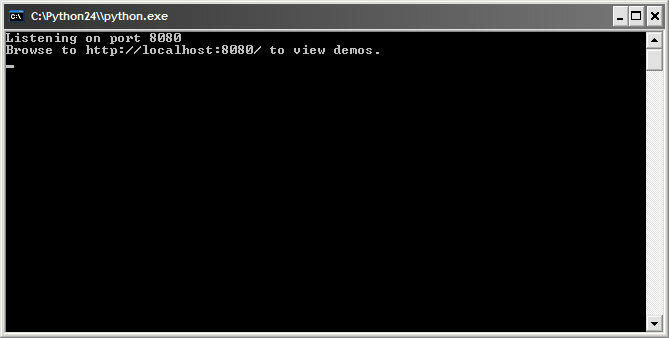 After a couple seconds you should see the http server come up inside your command window. 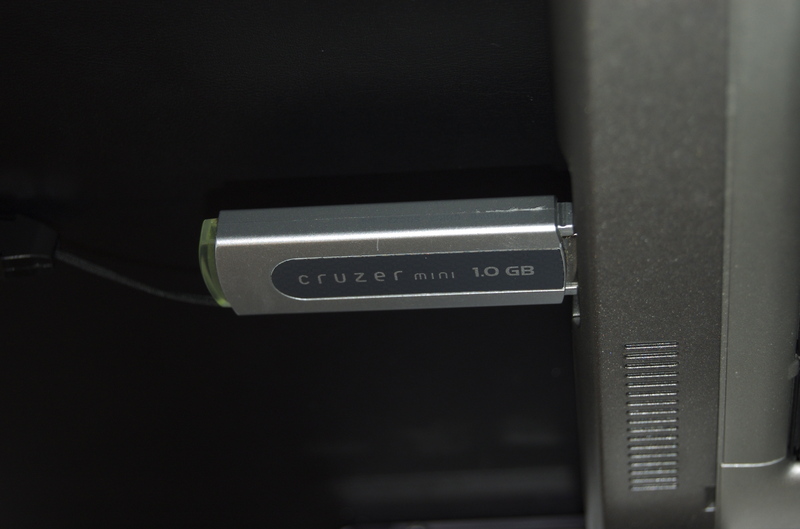 Next all you have to do is follow the directions and navigate to http://localhost:8080/ and view the demos and watch any of the videos. 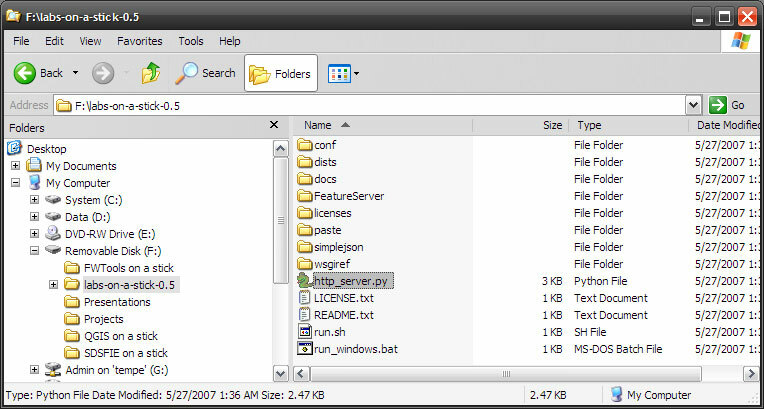 And of course you can check out FeatureServer, running right there on your USB memory stick. As Lefty points out, thank ESRI for installing Python for you.